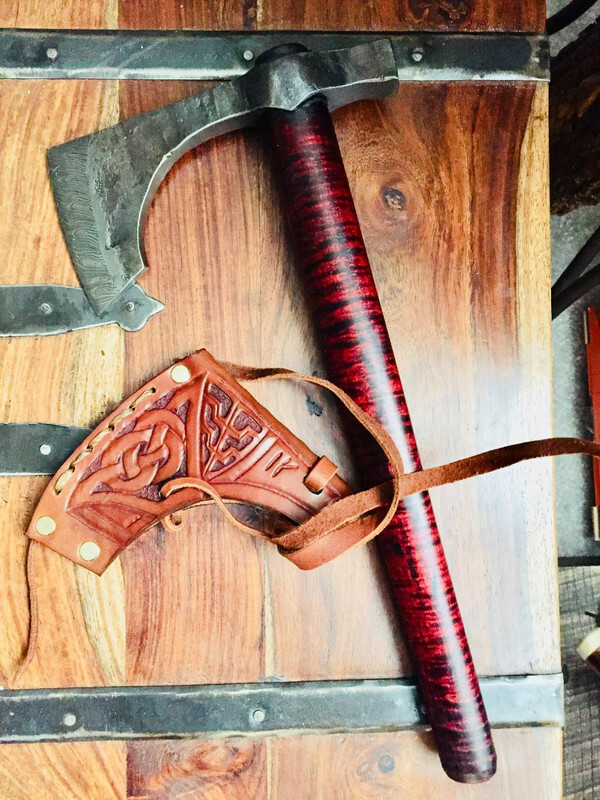 I purchased a Viking style axe head from Adam Thiel in Hungary, I handled it with a nice piece of curly maple, and secured it with a thin wood wedge, the head is not drifted. I found a Medieval leather smith to make the sheath. It has a Damascus cutting edge, the rest of the head is hand forged, with a poll hammer head. Handy and functional. I confess to sneaking in to view a bunch of your photos, Jeff. ........MAN, you've created some absolutely gorgeous stuff that I covet immensely! Is that a sin? That gave me a chuckle, no...that's a major compliment. Thanks Wolfy.